Our mission at Mountain Spirit is about “facilitating connection to one’s self, each other and the natural world.” Yesterday, here in New Zealand, I snapped this shot of my son and couple of our guests cradling one of our chickens in the nearby hammock. The hammock happens to be next to the “chicken tractor” (movable chicken house) so at the moment so makes for fun relaxing hangout with chickens all underfoot. The guests loved the chickens and were were visiting with them every spare moment. Connecting with nature is vital for children, whether it’s going for a walk in the woods, on a mountain ridge, taking them sailing or just spending time helping them collect the chickens’ eggs. A good book about children and nature, mentioned quite a few times in this blog is Last Child in the Woods, by R. Louv, but there are also newer titles in print as well. 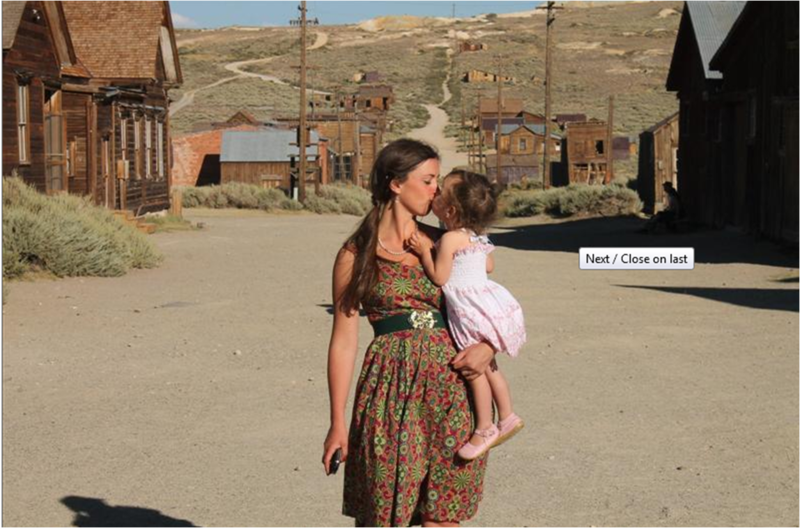 Lake Hawea, New Zealand singer-songwriter Anna van Riel, between gigs on her sustainable house concert tour across North America, plays with daughter Matilda (2) in Bodie, a ghost town in California. Two-thirds of the way through her sustainable musical road-trip across Canada and the United States, Lake Hawea, NZ singer-songwriter Anna van Riel says the 15 months spent planning and fundraising for the experience has all been worth it. 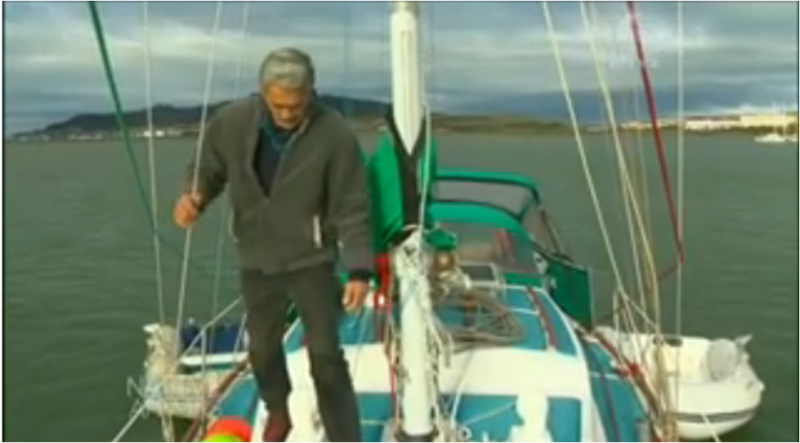 ”I’m still pinching myself,” Ms van Riel told the Otago Daily Times in an email from Colorado. 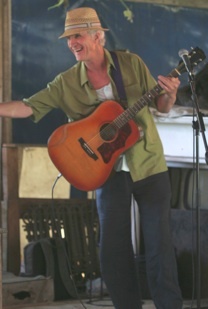 Accompanied by husband Locky Urquhart and their daughter Matilda (2), Ms van Riel has spent the past two months travelling from British Columbia, through Washington State, Oregon, California, Nevada, Utah and Colorado, performing quirky concerts in private homes, farmers markets, trailer parks and other venues. 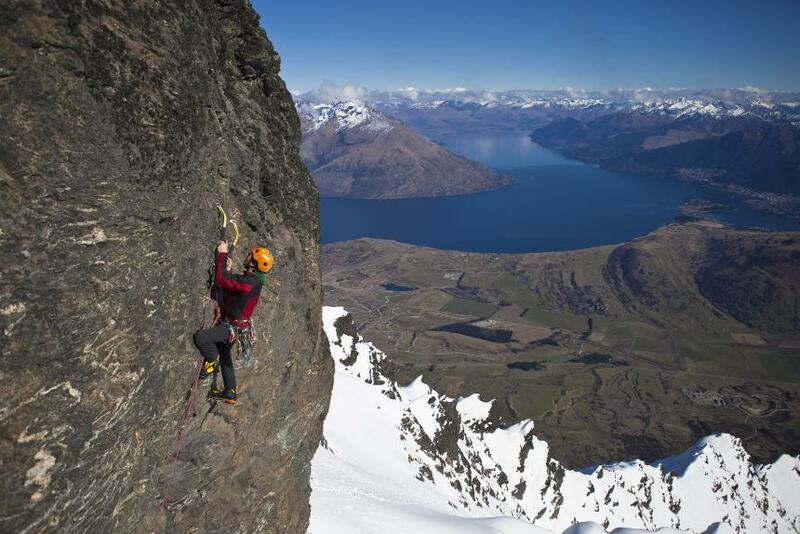 If you live in the Southern Alps of New Zealand, and have anything to do with climbing, the name Jamie Vinton-Boot pops up all the time. New hard routes, and lots of them. 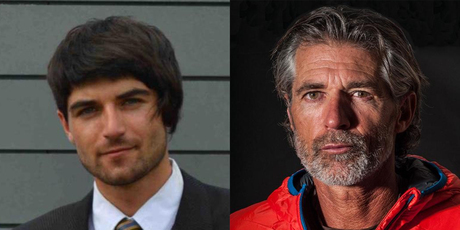 The other day, the news that he had been killed in an avalanche sent shock waves through the climbing community, right after the sad news that NZ climbers Marty Schmidt and his son Denali had been swept away by an avalanche at a high camp on K2 in the Himalaya. Vinton-Boot was a new father who leaves his new baby and wife behind. And the loss of Schmidt and his son are a one-two punch which seems hard to fathom. I was chatting with a checkout person in the grocery store about these losses, and part of her summation was, “At least he was doing something he loved to do.” Being a new father myself, I’m trying to balance my adventure goals, (not that I’m a cutting edge climber by any means) with the risk involved. My risk, (subject hazards) seems worlds apart from the climbers’ mentioned here. Vinton-Boot had decided to do easier routes since becoming a dad, so states the article below. Easy terrain for him might be my upper limit, so it all depends on what you’re comfortable with. It’s the objective hazards that give you the chop, no matter how easy the terrain. Whether it’s a ski descent or a mixed route, easy or hard, there are those hazards, and if it’s your time to go, you get the chop. As the list of friends, mentors, and famous climbers who’ve gotten the chop grows, the whole thing, for me, comes down to making damn sure I’m stacking the deck in favor of being around for my son. There’s simply no reason not to be. Sure, I could get hit by a car, (as the checkout girl added in her summation), but looking for trouble is a different matter. Warrington mountaineer Paul Hersey has attended the funerals of many of his mountaineering mates but he will continue to climb. Mr Hersey (45) said Christchurch climber Jamie Vinton-Boot (30) was a close friend and the pair had climbed together extensively in New Zealand. Mr Vinton-Boot was swept off his feet by snow on Monday when traversing and fell 500m to his death into a Remarkables ravine. 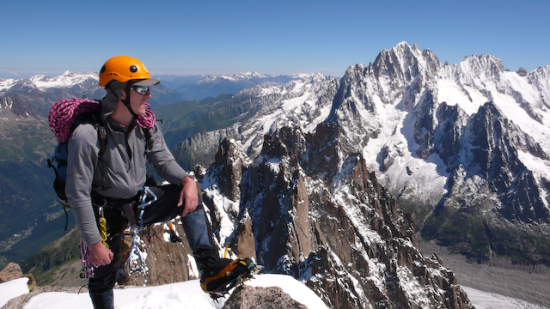 Mr Hersey and Mr Vinton-Boot created the climbing documentary One Fine Day on a Mountain, which won a special jury award at the New Zealand Mountain Film Festival this year. Christchurch mountaineers Marty and Denali Schmidt, who were killed while climbing K2 in Pakistan last month, were also read the rest of this story..
A New Zealand father and son’s tent has been found wrecked and vital climbing tools left abandoned, confirming fears they have been swept away and killed in an avalanche on the world’s deadliest mountain. Marty Schmidt, 53, and Denali Schmidt, 25, were hoping to become the first father-and-son team to conquer K2 in Pakistan – but they hadn’t been heard from since Friday. Others in their climbing party turned back the day before because of the threat of an avalanche and bad weather. A Sherpa went looking for the pair on Sunday and discovered their tent wrecked by an avalanche. Equipment they would have needed to keep moving was found intact nearby. “The news from the findings of the Sherpa who went up to their camp has us grieving tonight. They’d need their crampons and axe to go either up or down on the mountain,” said Becky Rippel, co-owner of Canada-based mountain guide firm Peak Freaks, Marty Schmidt’s employer. Editor’s Note: Although I never met Marty in person, I was acquainted with him, and knew of his great reputation here in New Zealand. My heart goes out to his family in Christchurch, and extended family and friends elsewhere. 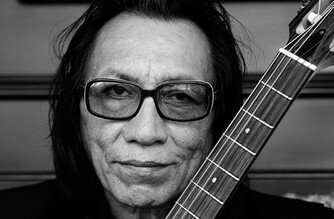 Sixto Rodriguez – A 40-year Overnight Success. It’s been said that happiness and sorrow are different sides of the same coin, and that presence is the razor’s edge one walks to weather life’s ups and downs in peace. This comes to mind when I think of Sixto Rodriguez‘s life story, told in the Oscar winning documentary, Searching for Sugar Man directed by Sweden’s Malik Bendjelloul.